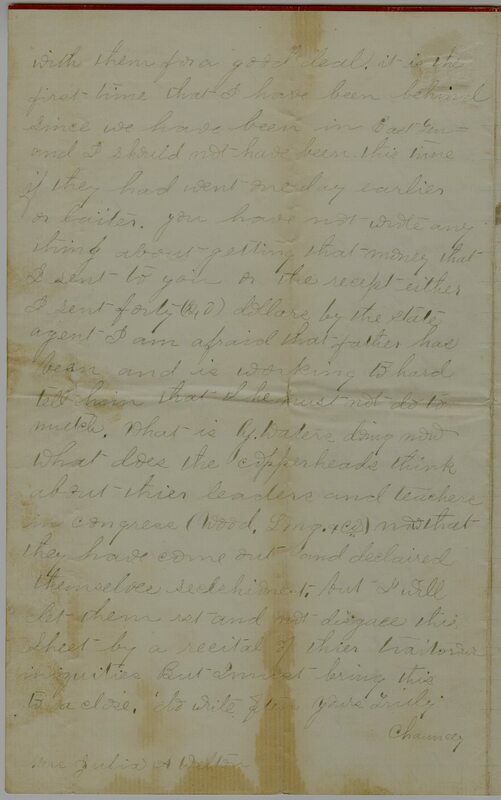 Item description: Chauncey Brunson Welton (1844-1908), a soldier in the 103rd Ohio Infantry Regiment, U.S. Army, wrote to his mother, Julia A. Welton, from camp at Bulls Gap in eastern Tennessee. 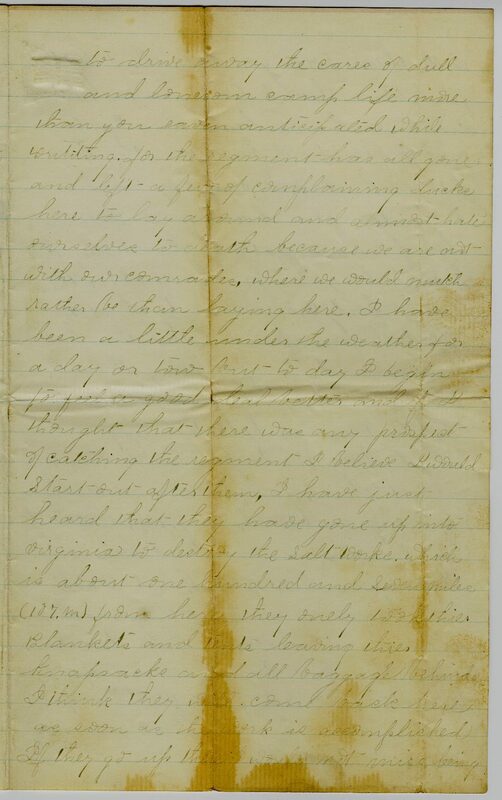 His letter relates how his regiment had recently left camp with only their tents and blankets for a 107 mile trip up into Virginia to destroy the salt works. Regrettably, Welton was under the weather and stayed behind. His frustration may have fueled his closing excoriation of Congressman Alexander Long and other “Copperheads” who opposed the war and favored Confederate independence. Long had given a pro-peace speech in Congress on 8 April 1864. Item citation: folder 5, Chauncey Brunson Welton Papers #3368, Southern Historical Collection, Wilson Library, University of North Carolina at Chapel Hill. 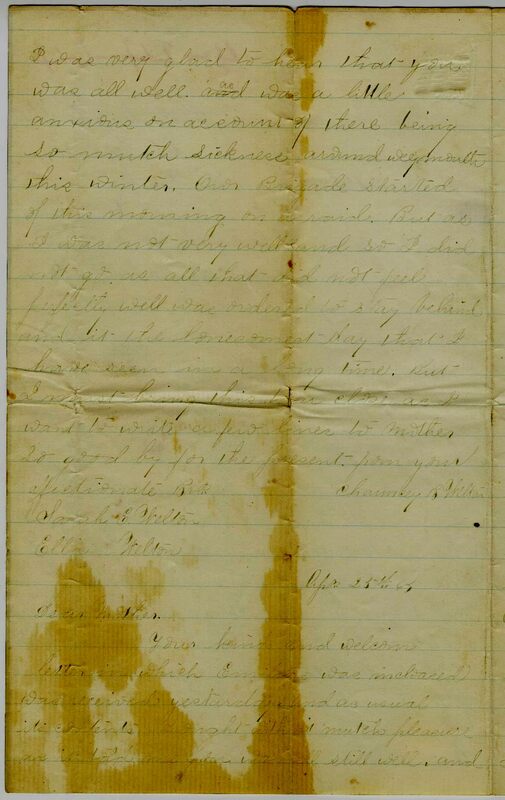 This entry was posted in Southern Historical Collection and tagged Alexander Long, Bulls Gap (Tenn.), camp life, Chauncey Brunson Welton, Copperheads, eastern Tennessee, salt works. Bookmark the permalink.